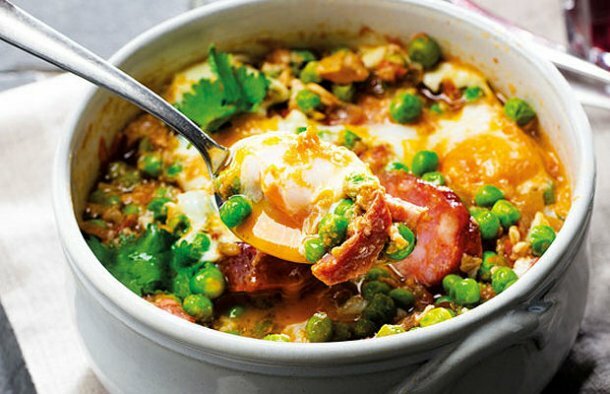 This Portuguese peas with poached eggs recipe (receita de ervilhas com ovos escalfados) is very easy to prepare and makes a great meal. Put the peas in water to thaw. Heat the olive oil in a saucepan, add the striped bacon and cook it. Add the chouriço, onion and garlic cloves. Add the tomatoes and the peas, cover the pan and cook for another 5 minutes. Crack the eggs into the pan. Cook the eggs a little, but make sure the yolk does not solidify. 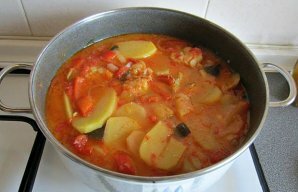 Remove from the heat, sprinkle with a little pepper and the coriander and serve immediately. 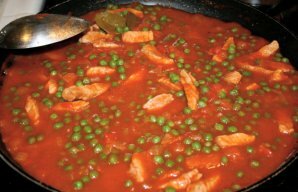 This Portuguese pork stew with peas recipe is such an easy dish to make and it's great comfort food. 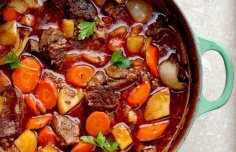 How to make Portuguese beef stew.